Let's face it: everybody has their choice of Christmas music during this time of the year. For my godmother, for example, it has always been her collection of Jose Mari Chan christmas songs. For my friend Elle, it has always been the soundtrack of Nightmare Before Christmas. For my older sister, it has always been whatever-the-heck-she-feels-like-listening-to. Rebellion runs in the family. For me, however, it has always been Michael Buble. 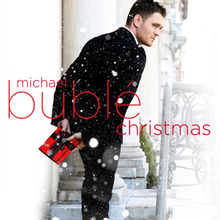 Unfortunately, as much as I love Michael Buble, I don't actually have his "Christmas" album yet. So, when I found out that Warner Music Philippines was releasing a repackaged version of it before the holidays, I freaked! The repackaged album has been out since November 25 and I can't wait to get my hands on it. In case you haven't heard any of Michael Buble's Christmas songs yet, he sings It's Beginning to Look a Lot Like Christmas, White Christmas, and All I Want for Christmas is You, among others. I don't know about you, but I was a huge fan of his first album, "Doo-Wops and Hooligans". In fact, it was the soundtrack of my 2010/2011 Bangkok visit, so I cannot wait to find out whether I will fall in love with the new album the way I did with the previous one. 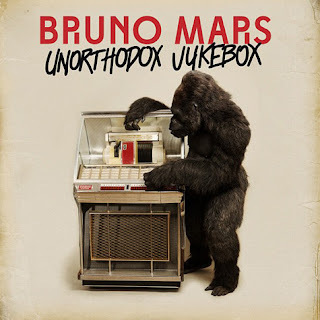 The best part is that you can get a whole set of freebies, including a fedora hat, a Bruno Mars CD single and button pins if you buy the album at Astroplus from December 11 to December 15! Awesomesauce! What do you think? Will this new album live up to the old Bruno Mars' album? Also, what albums are you looking forward to buying or listening to this holiday season? :) Do share! I'm always up for discovering new music! Both of the aforementioned albums will be distributed by Warner Music Philippines and will be available at all Astroplus branches. love them both , but Michael Is the best!! !